Each year we set aside a percentage of our turnover to give away to deserving causes related to education where we feel it will do the most good. One aspect of this is offering TEFL course scholarships to teachers. Another aspect is direct financial help to schools and other educational institutions. Please note that we are completely non-discriminatory when it comes to help: it does not matter what the religion, race or politics of the cause are. We simply judge on what the cause needs and what we have available to help. 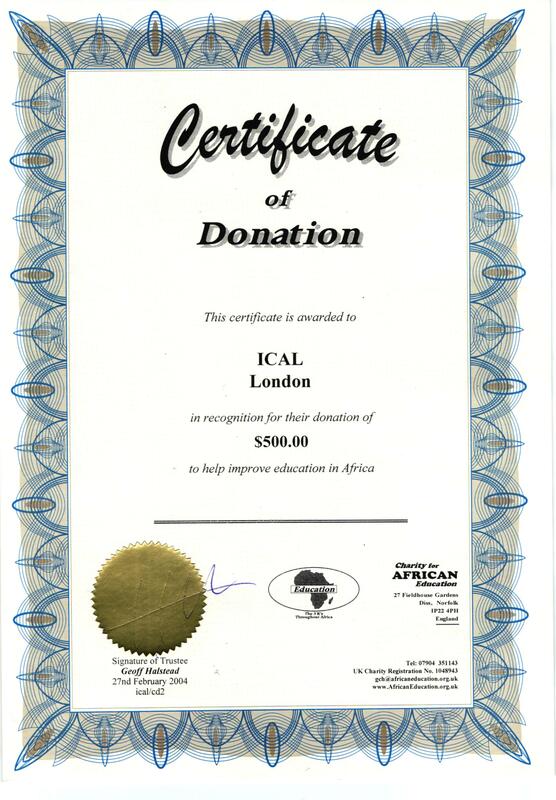 The image shows one of the first Certificate of Donation received by ICAL. This is dated 2004.